Whether a natural marvel or helped along by human interference, some places around the world are able to literally take your breath away. Possessing a beauty that cannot even be spelled out completely by pictures, these amazing places stir the deepest parts of us and help us to pause and consider the things that really matter; life and enjoying it right now. Combining different geographical locations, changing climatic conditions and seasons, nature and human architecture offer us an appealing dish of the widest variety of natural wonders some places you can hardly believe actually exist. They do exist however and even just knowing that fact, just knowing that despite the amount of ugliness that can sometimes persist around us; with wars and thieving politicians and a lot of other negatives, the existence of these amazing places should give you hope. They should insist to your subconscious that there does exist beauty in this our world and no matter what the ugliness cannot swallow it all up. So take a look at some of these pictures captured by amateur and professional photographers alike that enable us to have a view of these places, until we hopefully get to see them ourselves. We won’t even bug you down with details, just enjoy the surreal view from around the world, in places, not Africa, because our beautiful continent deserves an entire post of its own. Salar De Uyuni, popularly called the largest mirror in the world, is the world’s largest salt flat. It is part of the Altiplano (high plateau) of Bolivia in South America which was formed during uplift of the Andes mountains. The site is a photography haven for tourists especially during the rainy season when its breathtaking mirror effect is visible. It also provides an endless horizon which makes the perfect backdrop for photos and optical illusion shots. 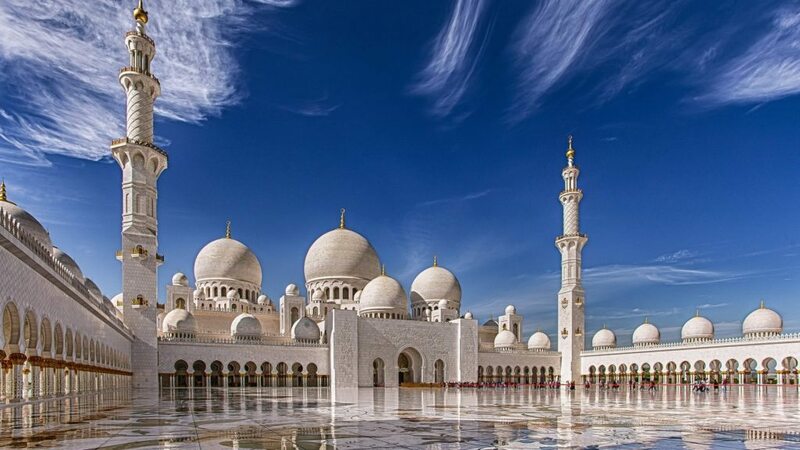 The Sheikh Zayed Grand Mosque is the largest mosque in Abu Dhabi, built by the late United Arab Emirates President, Sheikh Zayed bin Sultan Al Nahyan. The architectural marvel was built with natural materials such as marble stone, gold, semi-precious stones, crystals, and ceramics. Pools were built along the mosque’s arcades to reflect its spectacular columns. It also has a unique lighting system that is a sight to see at night. Beautiful bluish gray clouds are projected in lights onto the walls. They get brighter and darker according to the phase of the moon. The Tunnel of Love is a section of track for an industrial railway in Klevan, Ukraine. The railway is surrounded by trees, making it look like a place made out of a fairytale. Antelope Canyon is a narrow canyon, formed by erosion and other sub-aerial processes, located in the Native American territory of Navajo, in the U.S. state of Arizona. The canyon is a popular destination for tourists, and photographers, making it a major source of tourism business for the Navajo Nation. Visitation of this area is done exclusively through tours because rains during monsoon season can quickly flood the canyon regardless of it falling near the canyon slots or miles away upstream. 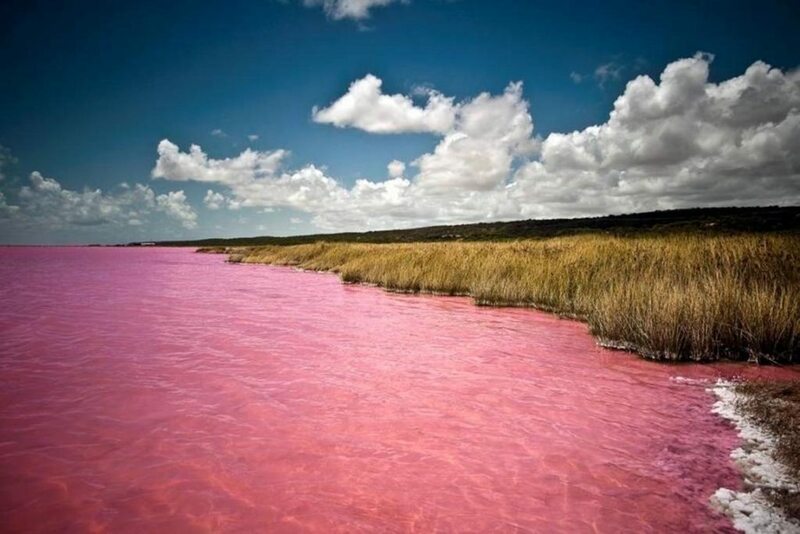 Lake Retba, which simply means Pink Lake, is a body of water located north of the Cap Vert peninsula of Senegal. The waters pinkness is caused by algae which produce a red pigment that assists it in absorbing light. The color of the lake is very visible in the dry season and is known for its high salt content. Zhangye Danxia Landform is a rainbow-colored mountainous area located in the prefecture-level city of Zhangye, in Gansu, China. They are the result of deposits of sandstone and other minerals that occurred over 24 million years. Natural forces such as wind and rain then sculpted extraordinary shapes onto the mountains with varying colors and patterns over time. The area has become a top tourist attraction with series of boardwalks and access roads built to help visitors explore the rock formations. 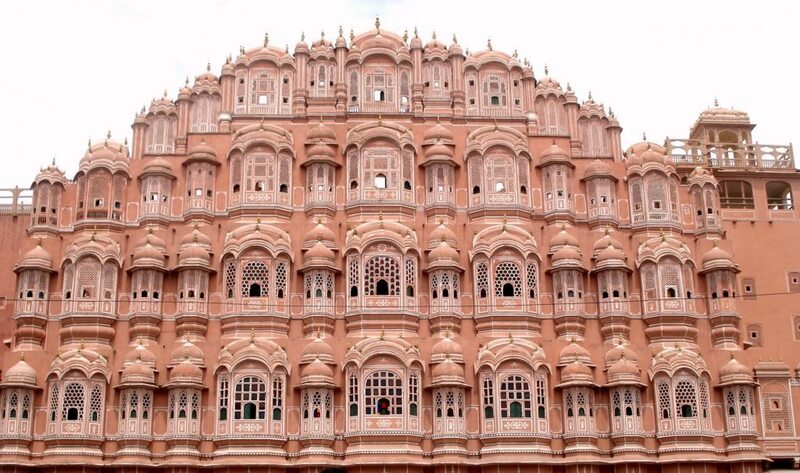 Hawa Mahal, which means palace of winds, is a palace constructed in 1799 of red and pink sandstone in Jaipur, India. The structure makes a magnificent view early in the morning when the golden light of sunrise hits it. Krabi is a town on the west coast of southern Thailand at the mouth of the Krabi River. Tourism is an important industry of the town as it offers several national parks and little islands well-known to adventurers, yachtsmen, scuba-divers, snorkelers. The Red Beach is a famous landscape known for the Suaeda salsa red plant which features on it. It is located in Dawa County, Panjin, Liaoning, China. The Wisteria Flower Tunnel is a private garden located in the city of Kitakyushu, Japan, which offers visitors a chance to walk down an enchanting walkway covered by the wisteria flowering plant.